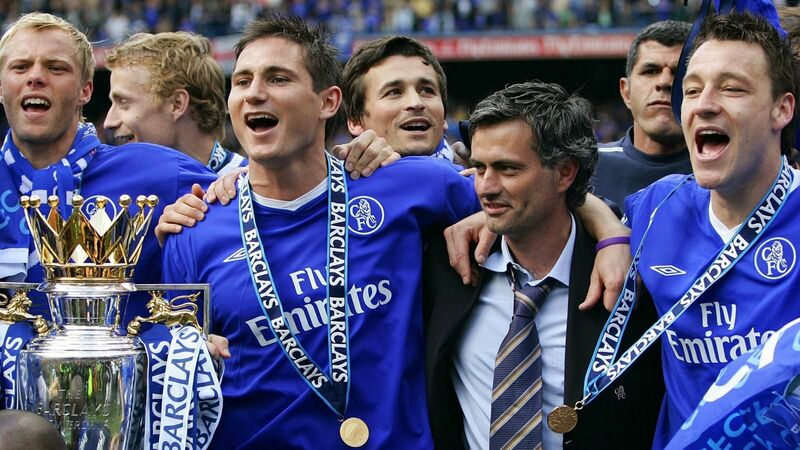 There is a sense of deja vu among us Chelsea fans as this dismal season enters its final phase. There is an increasing feeling that Antonio Conte is going to join the long list of managerial casualties in the summer, after failing to follow-up on last season’s heroics. It’s been a series of events we’ve seen time and again in the past, but always, the trophies have continued to flow in. Since 2003, when Roman Abramovich bought the club from Ken Bates, we’ve been the most successful club in England, winning 14 major trophies – 5 Premier League titles, 4 FA Cups, 3 League Cups, 1 Europa League and 1 Champions League. The FA Community Shield has not been included in these counts. With a month and a half of this campaign to go, we are still in the FA Cup, and thanks to the luck of the draw, are heavy favourites in the semi-final against Southampton. Everything else is more or less over. A late push for a top 4 finish is still to come, but Spurs are 5 points ahead with just 8 games to go. We have a chance of overhauling them, especially because we also face them at Stamford Bridge on April 1. But the margin for error is more or less non-existent. This season, however, has been laden with errors on several fronts. The transfer market that followed the dramatic Premier League victory last year was baffling, to say the least. There was no doubt that we needed to improve our squad in several areas to be contenders once again this season. Last year, the introduction of a completely new system by Antonio Conte caught everyone else unaware, and the absence of Champions League football help us put all our eggs in one basket. With the squad and personnel we had, we over-achieved. It wasn’t going to happen again this time, and we had a lot of time and opportunities to out things right. However, we ended up having an absolutely shocker. With top targets like Romelu Lukaku, Virgil van Dijk and Andre Santos proving to be too expensive, we ended up spending too much on mediocre options. I still can’t believe we spent £35 million on Danny Drinkwater, while selling Nemanja Matic to direct rivals Manchester United. The list of central midfielders already at the club who could have been more-than-able back-ups is pretty long. The likes of Ruben Loftus-Cheek, Mario Pasalic, Marco van Ginkel and Lewis Baker are out on loan. Nathaniel Chalobah, touted as a future star at Stamford Bridge not too long ago, was sold to Watford for a measly £5 million. Couldn’t one or more of them have stayed back, and helped us save £35 million? The whole “oh, but they need to play regularly” argument is codswallop, as I bet they won’t be given too many chances with the first-team in the next few years anyway. We also spent around £25 million on little-known right-back Davide Zappacosta. The Italian has largely played second-fiddle to Victor Moses, something many of our young talents in this position like Ola Aina, Dujon Sterling or Fikayo Tomori could have more than passably done. Our academy is absolutely world-class. There is absolutely no doubt about that. We have won the FA Youth Cup in each of the last 4 seasons, along with the UEFA Youth League in 2015 and 2016. When the first team is full of superstars and is highly successful, it offers a justifiable excuse to not afford an opportunity to these starlets. When we’re struggling and wasting money on sub-standard players, we need to take a stern look at what’s going on. Both the board and the manager are at fault here, for not building a solid foundation for the future. This season could just be the third time we finish outside the top 4 since Abramovich’s takeover. In 2012, we finished 6th but won the Champions League and qualified for the competition next year. The 2015-16 campaign was a freak, as we went from champions to relegation candidates at one point. The 10th placed finish was hardly a reflection of the strength of the squad, and the players knew that themselves. This time around, things are different. If we finish 5th, it would actually be because we are the 5th-best team in the country, in terms of quality. We have a lot of deadwood in the team, a lot of players who are just not good enough if we want to become a true European giant. This is very concerning, because missing out on the Champions League could very well see a mass exodus of top talents. 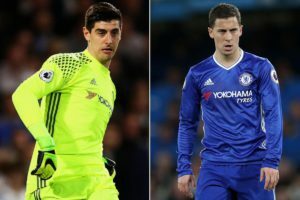 Conte will almost certainly be shown the door, while Eden Hazard and Thibaut Courtois could be on their way as well. They are arguably the two best players in our squad, and it will be very difficult to replace them. This is especially because we will no longer be the preferred destination for stars around Europe. We are neither paying big money, nor producing the results on the pitch with the resources we have. Will we be able to attract a top manager, like Luis Enrique, Tomas Tuchel or Carlo Ancelotti? The answer to that will most probably be yes, as we haven’t refrained from spending in that area. Whether we will subsequently be able to top players though, remains to be seen. It isn’t uncommon for successful clubs to drop like a stone. Liverpool were far and away the most successful club in England when they won the First Division in 1990, but are still add another league title 28 years later. Arsenal went from the Invincibles in 2003-04 to winning just one FA Cup in the next decade. If we’re not careful, we could be going down the same road. Our emphasis on short-term success has left us bereft of a plan to fall back on in the long-run. Every manager that comes in starts from scratch, instilling his values and tactics at the club. His time at the club though, runs out sooner rather than later, leaving us at square one again. We’re now at a stage where this strategy is getting ready to bite us. This doesn’t mean that Antonio Conte shouldn’t be sacked. The Italian has made too many mistakes this season, which have cost us dearly. His stubbornness, incorrect team selections and ridiculous substitutions have taken us in the backward direction, and he can’t have too many excuses if he isn’t given another season. The upcoming transfer window is going to be do or die. Roman needs to be ready to pay whatever it takes to attract a top manager, and top players as well. The two Manchester clubs are showing no signs of slowing down their spending sprees, and are continuing to strengthen. Instead of pushing on from winning the title and moving towards becoming a European giant, we’ve gone in the other direction. The damage is not all done. We just need to go back the ruthless and pragmatic business style we adopted when Roman first arrived at the club, the one that made us the juggernaut that we today. If the current frugality, uncertainty and timidity continues, Chelsea Football Club is just a time bomb waiting to explode.